Dingell: "We're not going to reward one company that is closing plants." 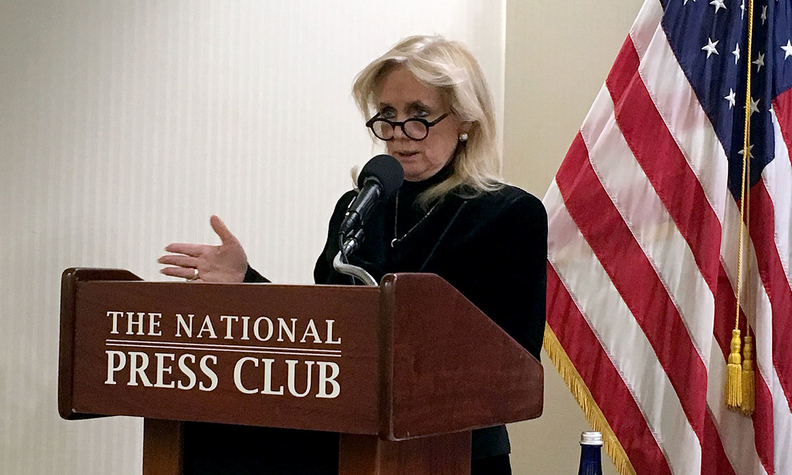 WASHINGTON — Automakers need to develop a unified position on updating the law on electric vehicle tax credits if they want Congress to provide greater incentives, Rep. Debbie Dingell said. Any new rules should restrict companies that close plants and move them offshore from receiving the benefit, she said, singling out General Motors again for its November announcement putting four U.S. plants on the chopping block. "We're not going to reward one company that is closing plants" and moving them to Mexico, the Michigan Democrat said at an event hosted by the BlueGreen Alliance to promote policies for maintaining the U.S. edge in advanced automotive technologies. "Companies that want to get incentives from us need to make it a priority for putting jobs in this country." GM operates several assembly plants in Mexico but says the potential realignment of its footprint has to do with streamlining production to plants more capable of handling EVs and autonomous vehicles, not moving production of models made in Ohio and Michigan south of the border. Dingell, a former GM executive, reiterated concerns that EV adoption in the U.S. has been slow because of the lack of charging infrastructure. Pure battery electric vehicles represent less than 1 percent of national sales. She also chided states with mandates for zero-emission vehicles for not purchasing as many EVs for their fleets as promised, saying that contributed to low EV sales, making it difficult for automakers to hit federal fuel economy standards. GM and Tesla Inc. have reached their 200,000-unit caps and are seeing their $7,500 tax credit being phased out over the next year. The companies have asked for the cap to be raised, while other automakers think the credit should be limited to vehicles below a certain price. Automakers that have not started selling EVs in great numbers worry they will be hurt. Dingell said she's optimistic that a bill to repair and expand transportation infrastructure can be passed this Congress but added that it needs to include support for charging stations. Dingell said she has reached out to freshman Rep. Alexandria Ocasio-Cortez to work on EV policy. Ocasio-Cortez, a New York Democrat, is the driving force behind the Green New Deal, a wish list of environmental and economic goals aimed at reducing climate-changing emissions and promoting middle-class jobs. The Green New Deal calls for investment in zero-emission vehicles. Dingell said she has had multiple conversations with Ocasio-Cortez and asked her for help building the electric charging network to make the ZEV vision possible. Dingell said Ocasio-Cortez was receptive to the approach and that she invited her to Detroit to visit with automakers to see how they are developing EVs.